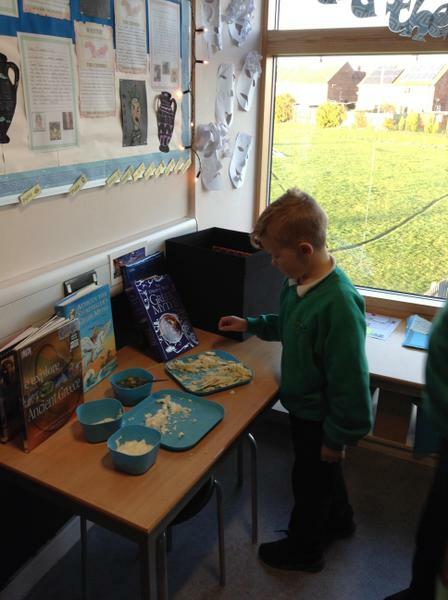 Food, glorious food! 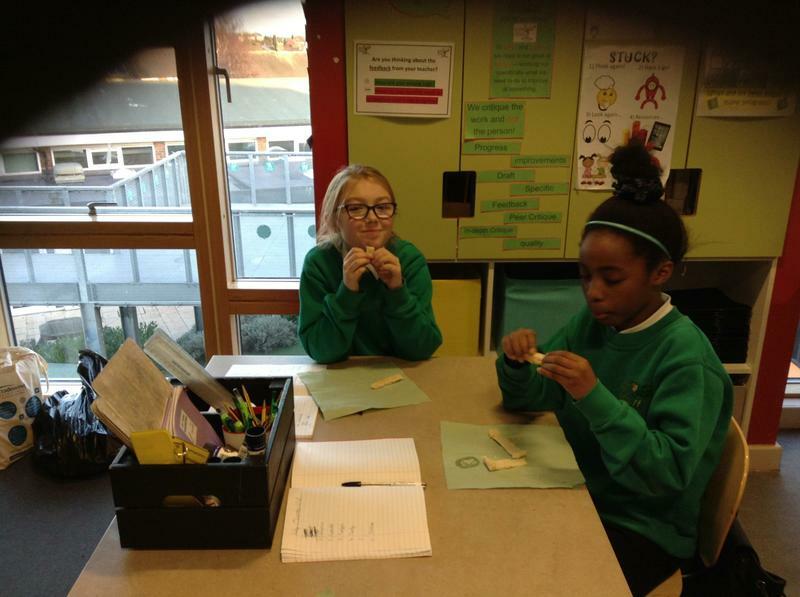 Or possibly not if you speak to some of the year 5s! 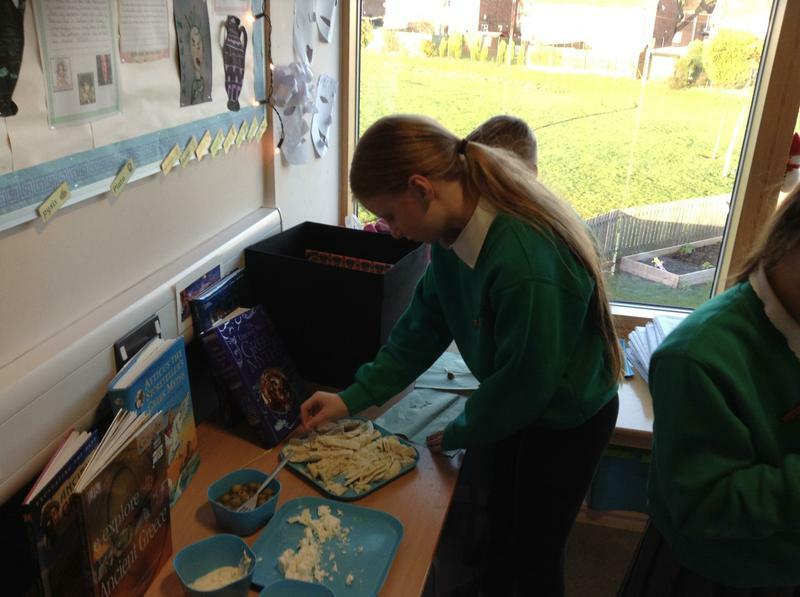 Before creating our own Greek restaurant menus, we sampled some popular Greek foods to inspire our menu choices. 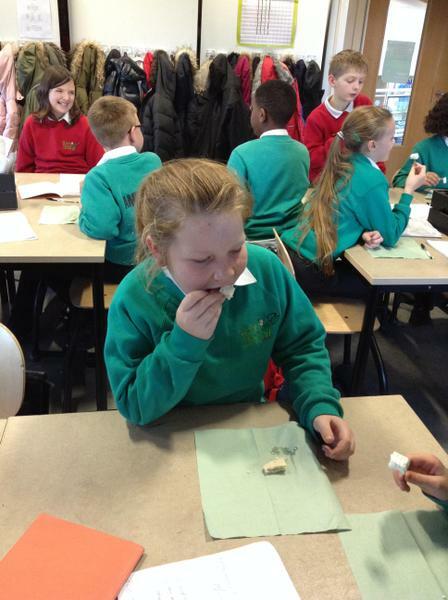 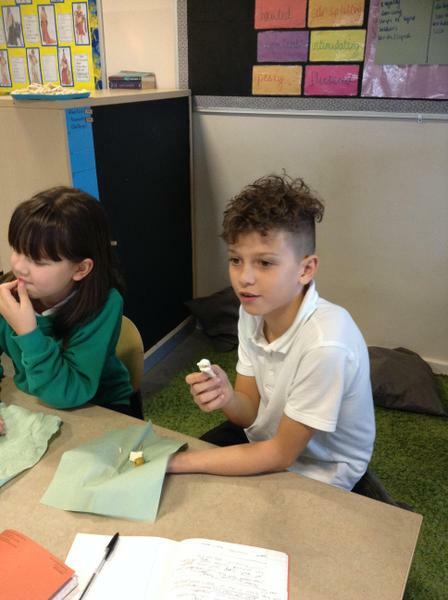 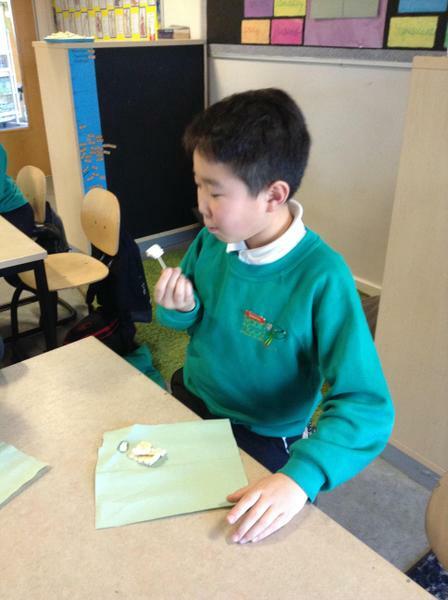 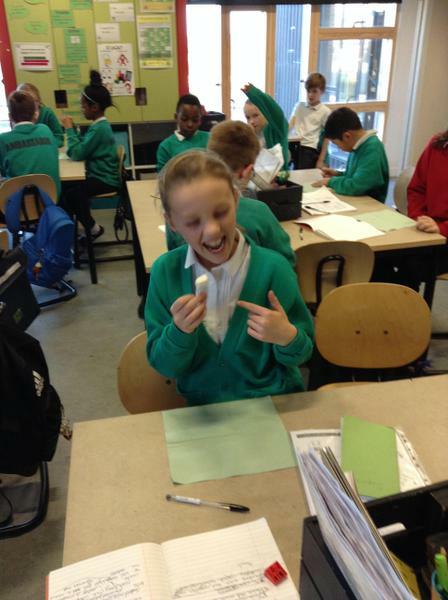 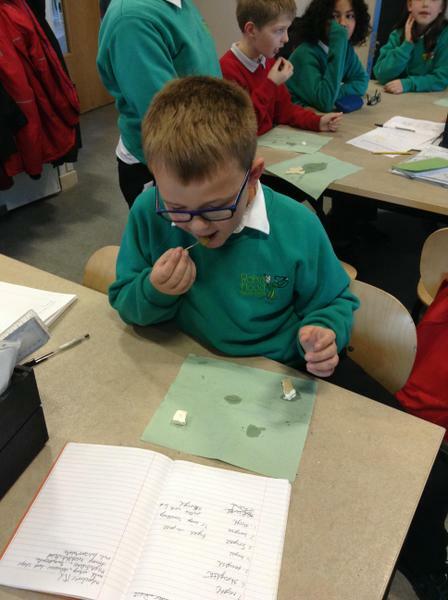 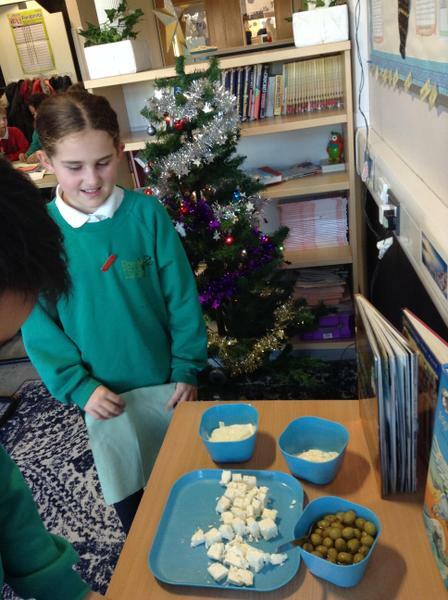 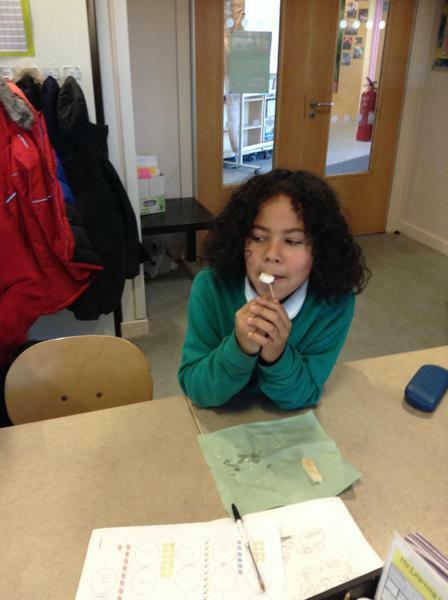 Pitta bread, Greek yoghurt and tzatziki were all enjoyed but feta cheese and olives were not so popular! 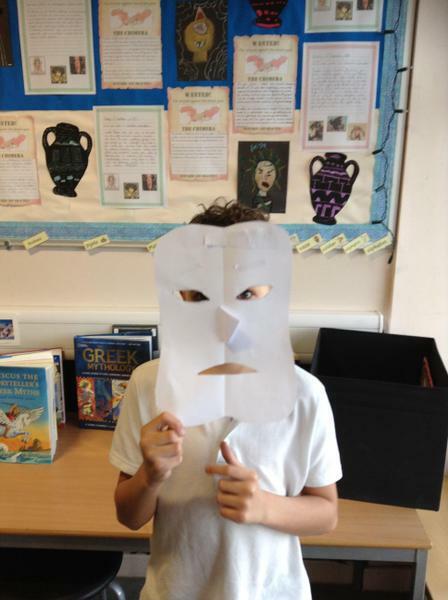 Did you know that the ancient Greek theatres were so big, that most of the actors would wear masks showing exaggerated expressions so the audience members could make out what was going on? 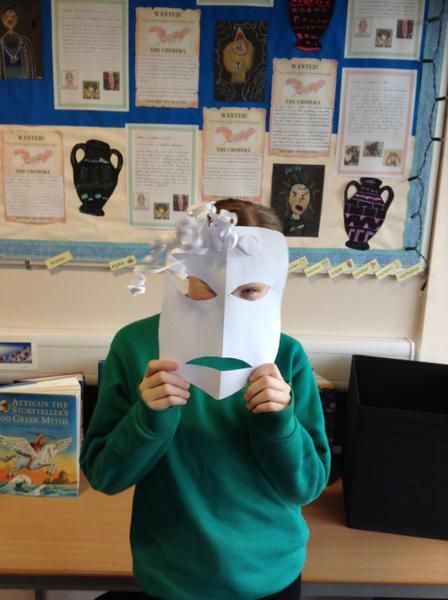 The masks also helped to amplify the sound for the audience sitting far away from the stage area. 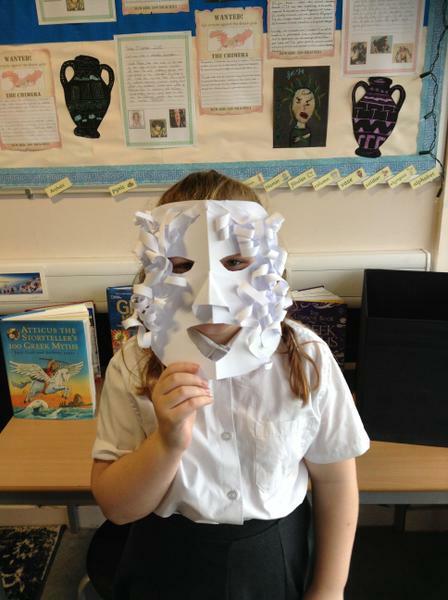 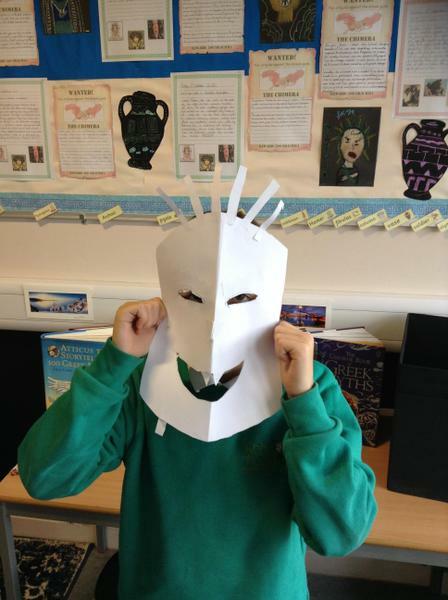 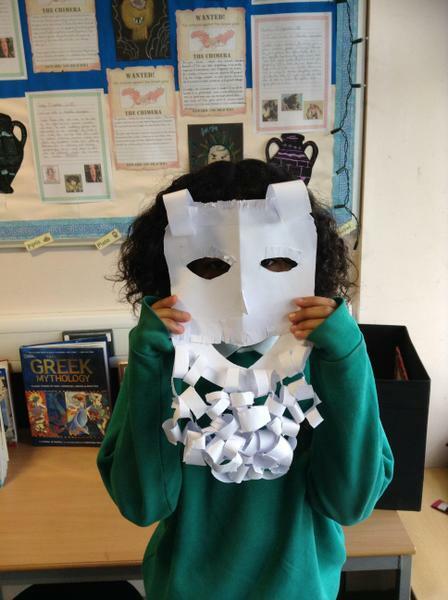 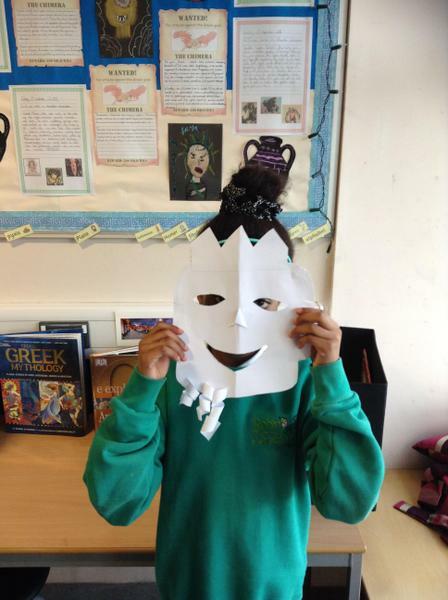 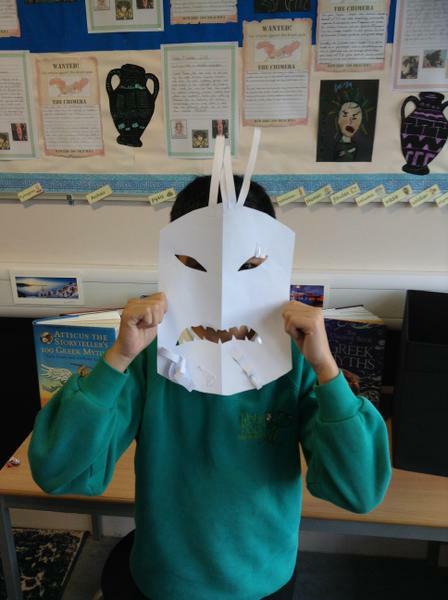 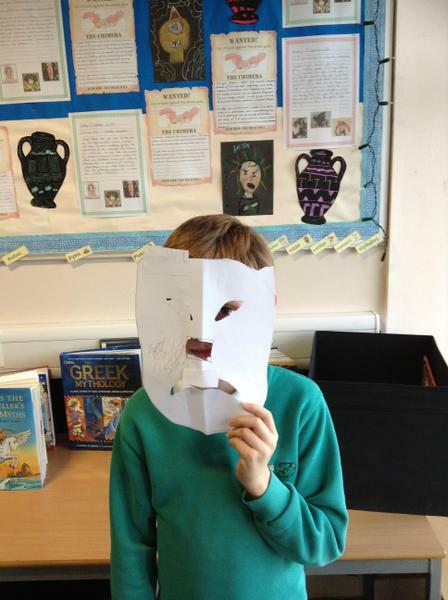 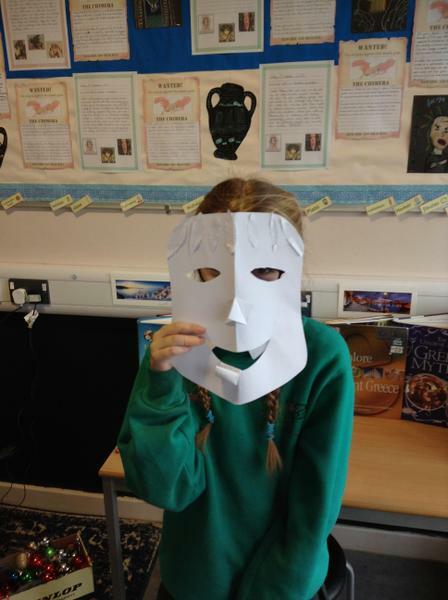 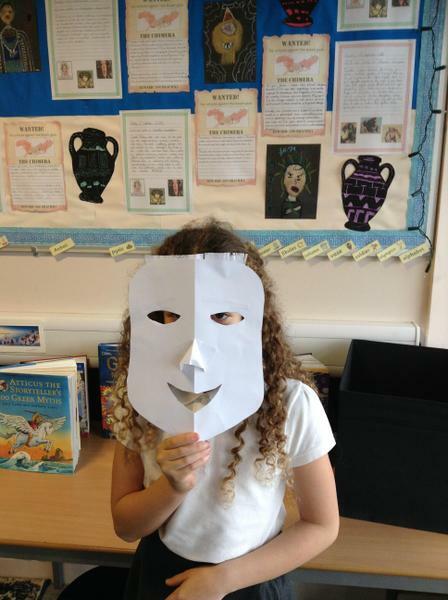 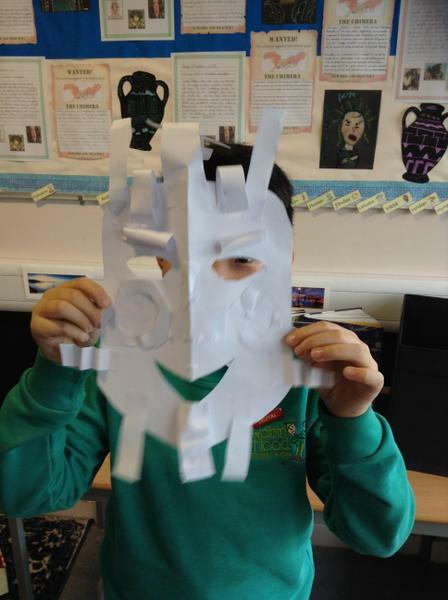 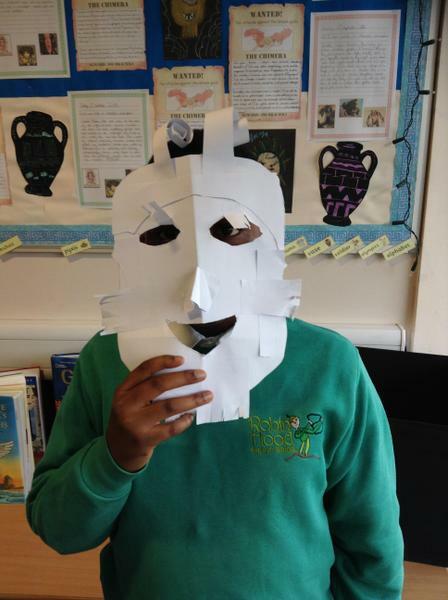 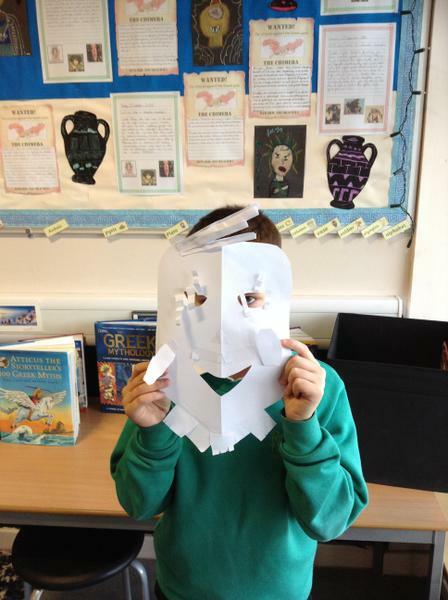 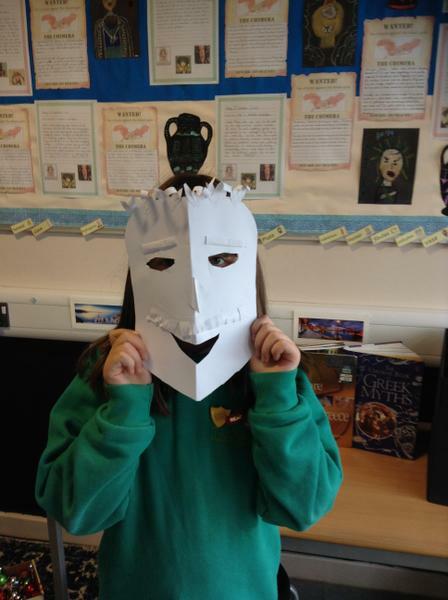 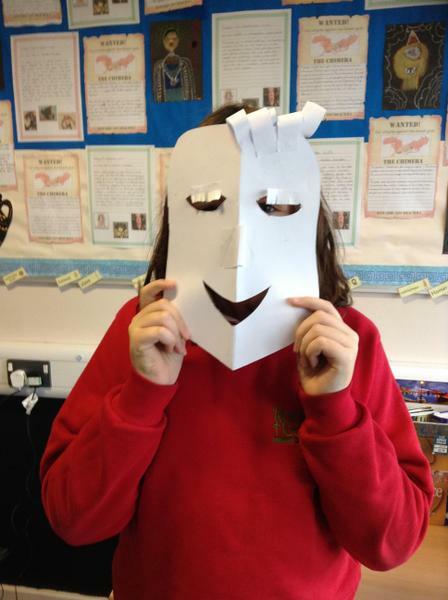 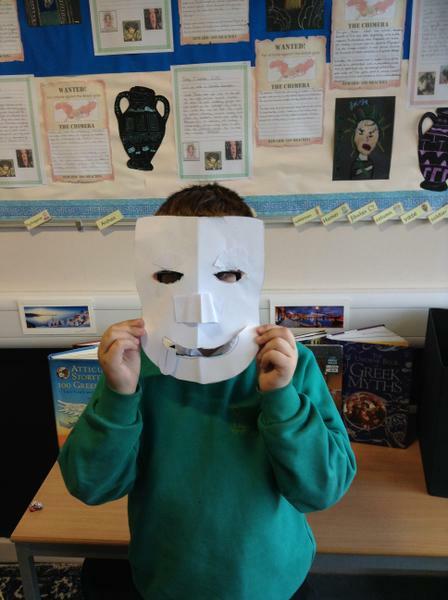 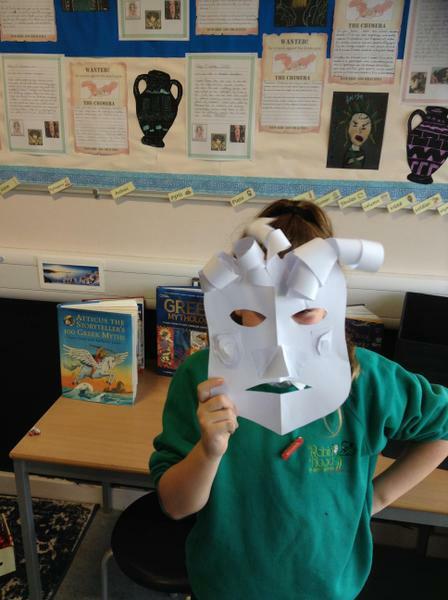 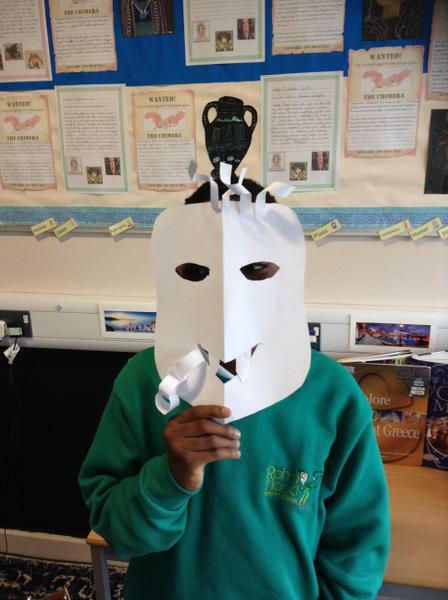 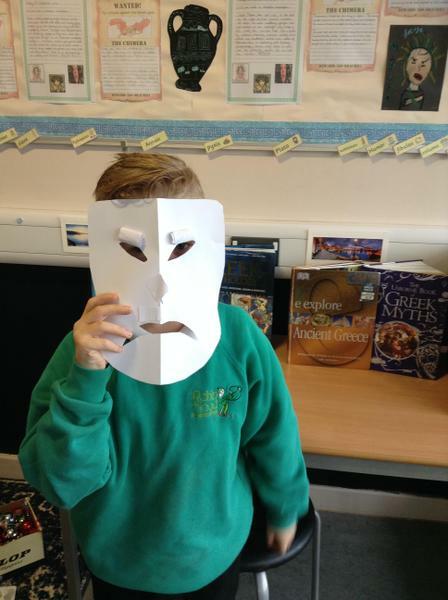 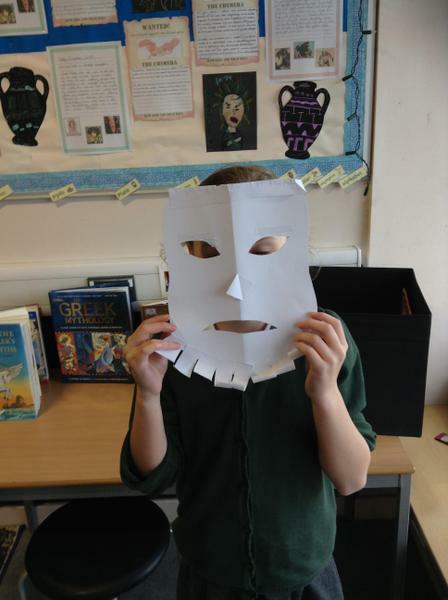 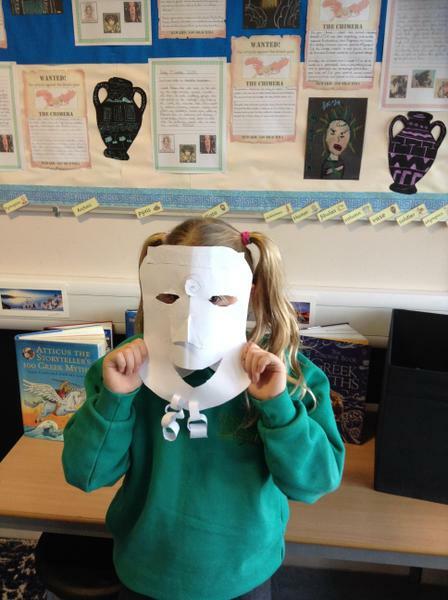 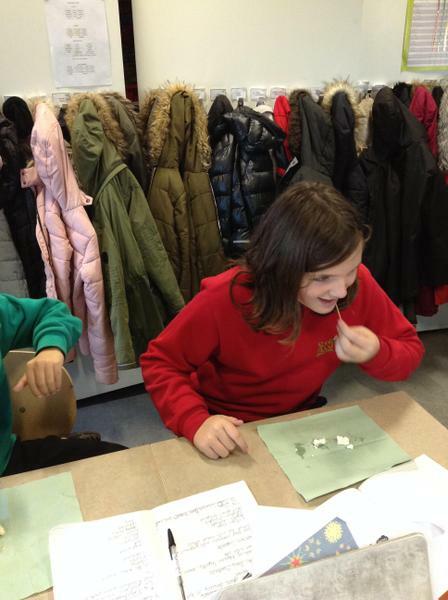 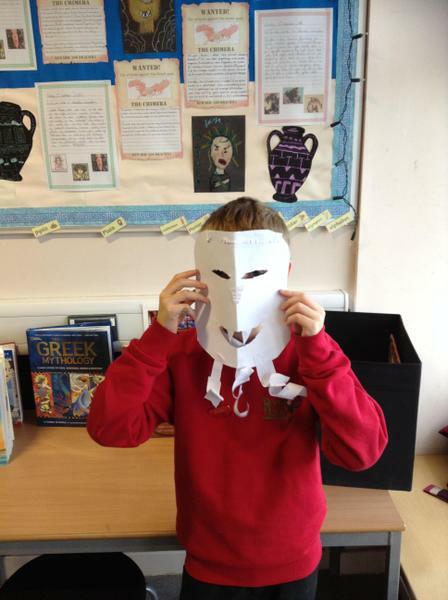 We practised using different paper sculpting techniques then chose three that we wanted to use on our own mask designs. 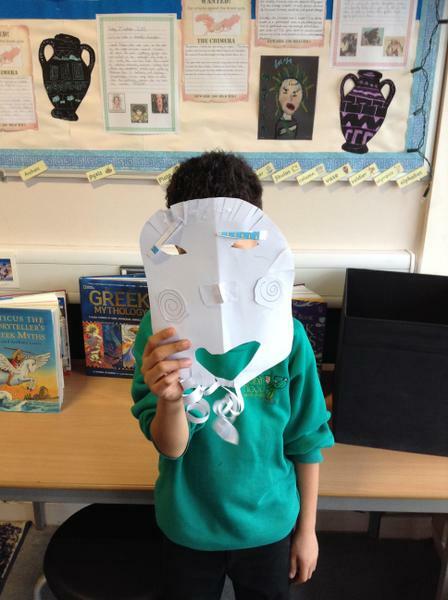 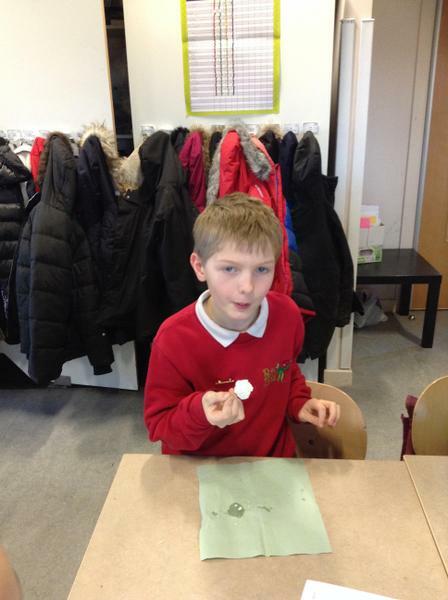 Look how fantastic our creations are! 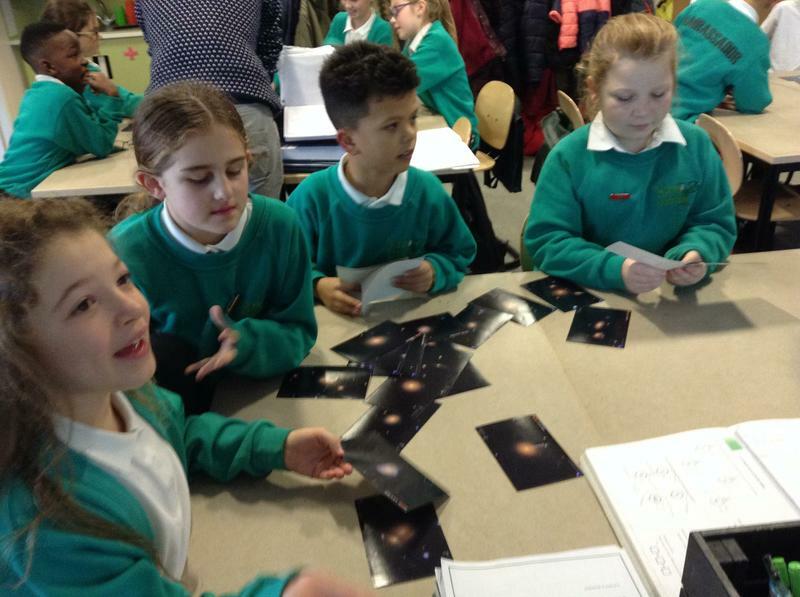 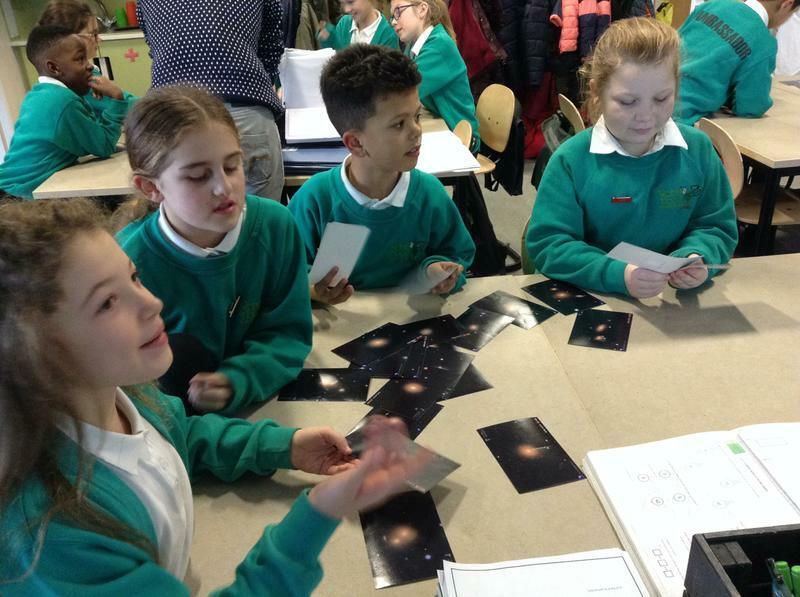 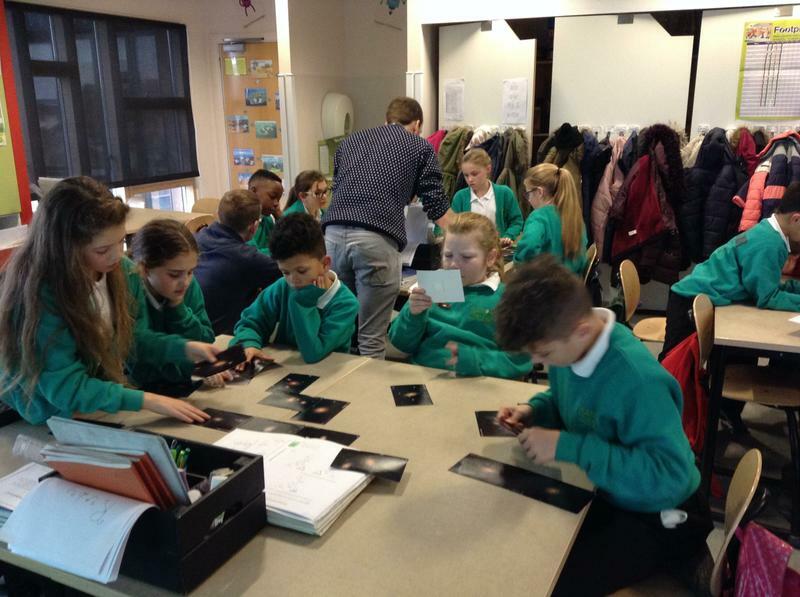 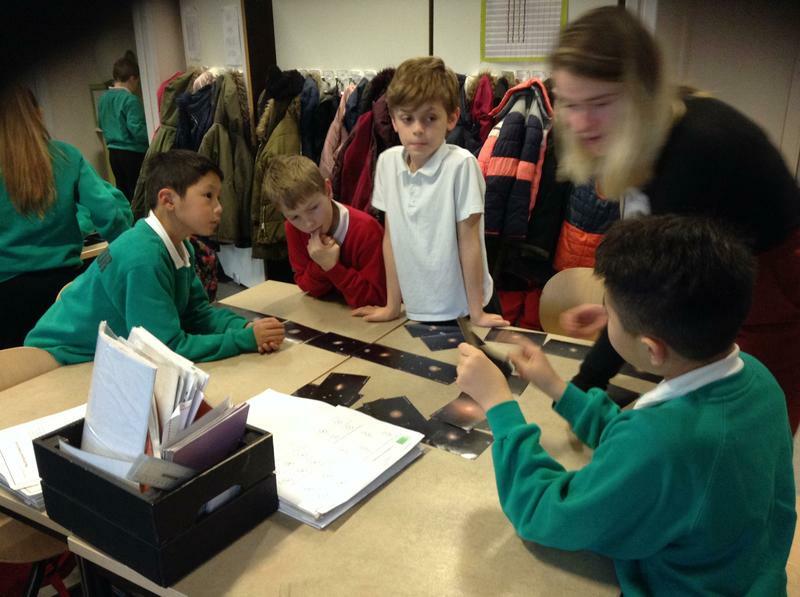 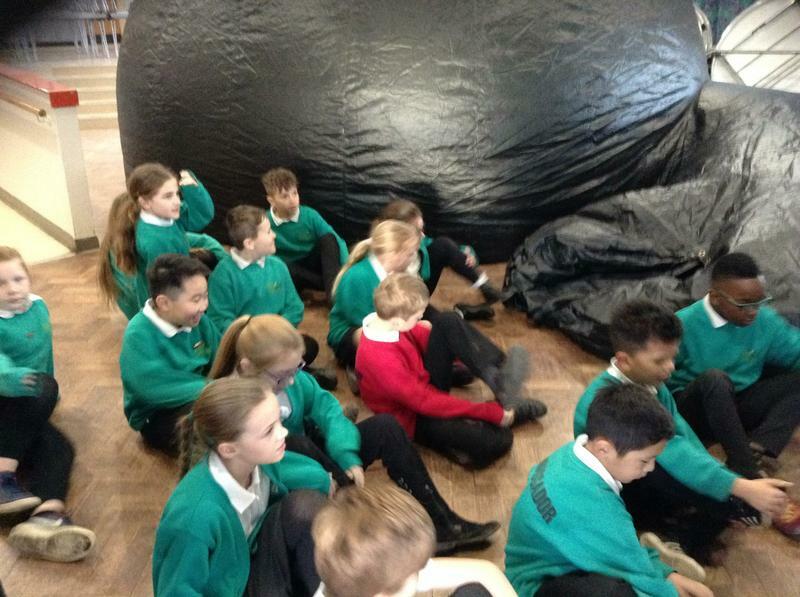 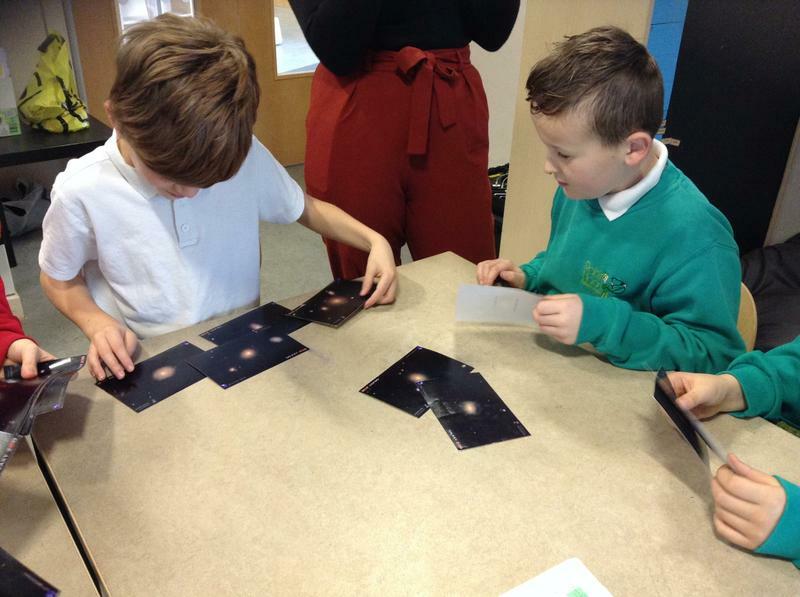 We're very excited for the start of our new topic on space next term and to launch our project, we were lucky enough to receive a visit from NTU who brought in their giant planetarium. 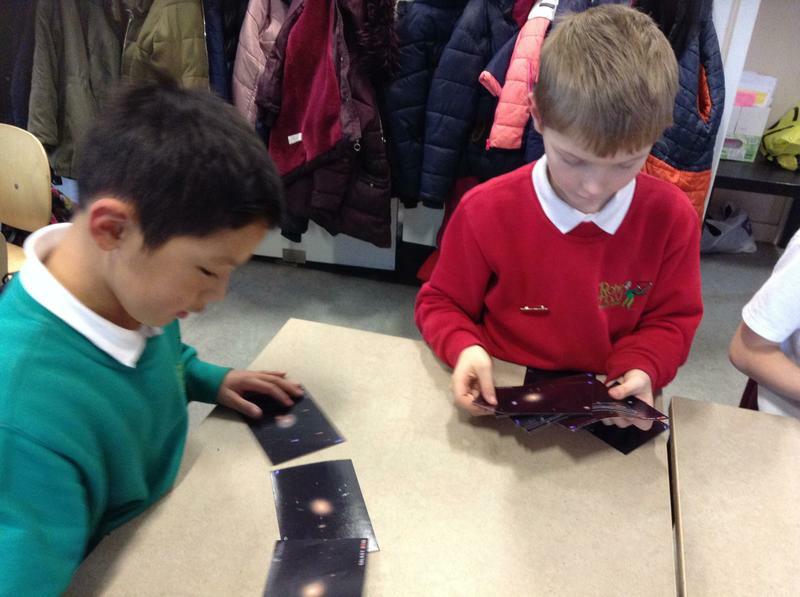 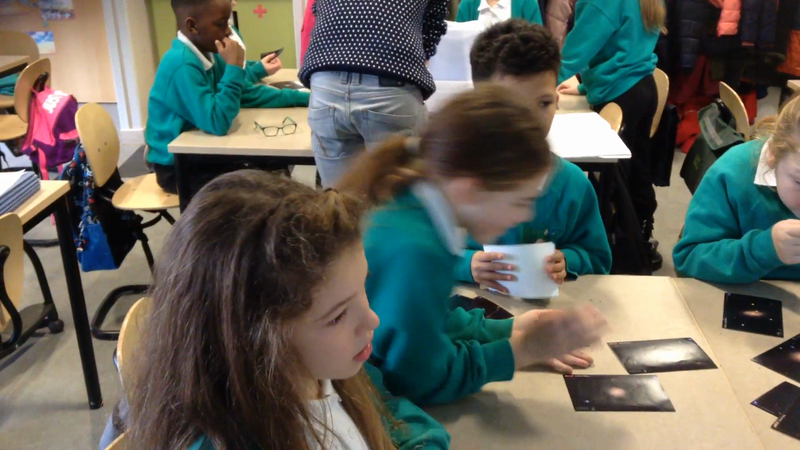 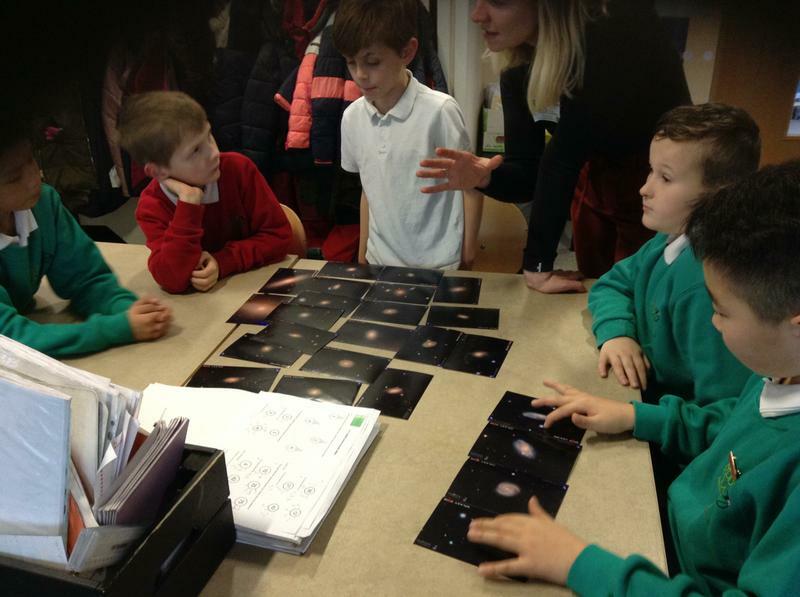 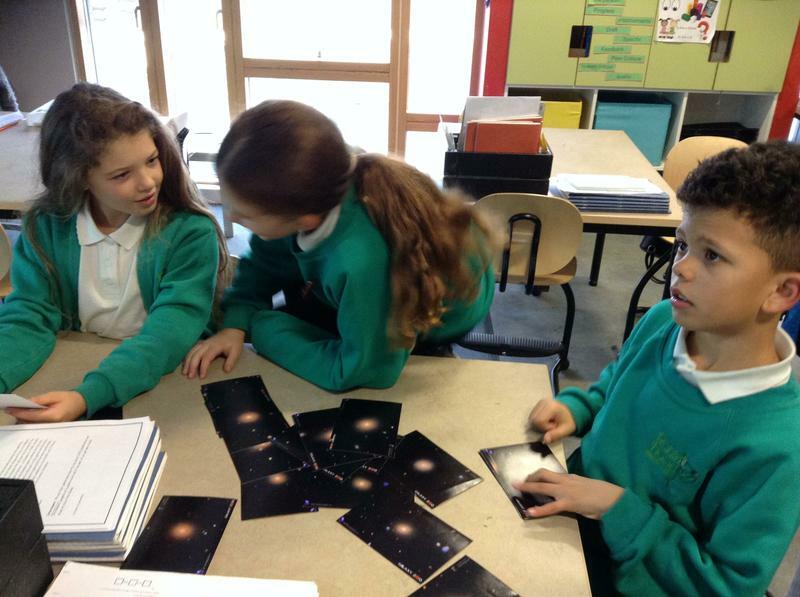 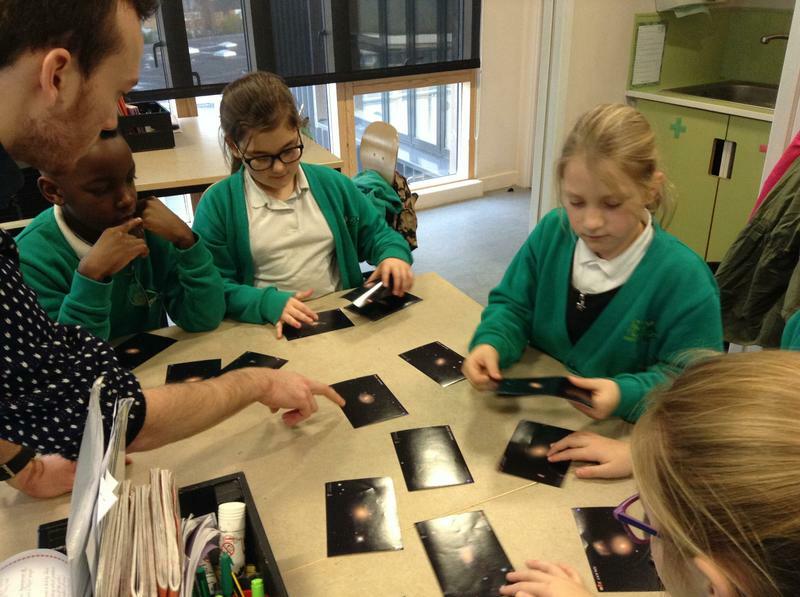 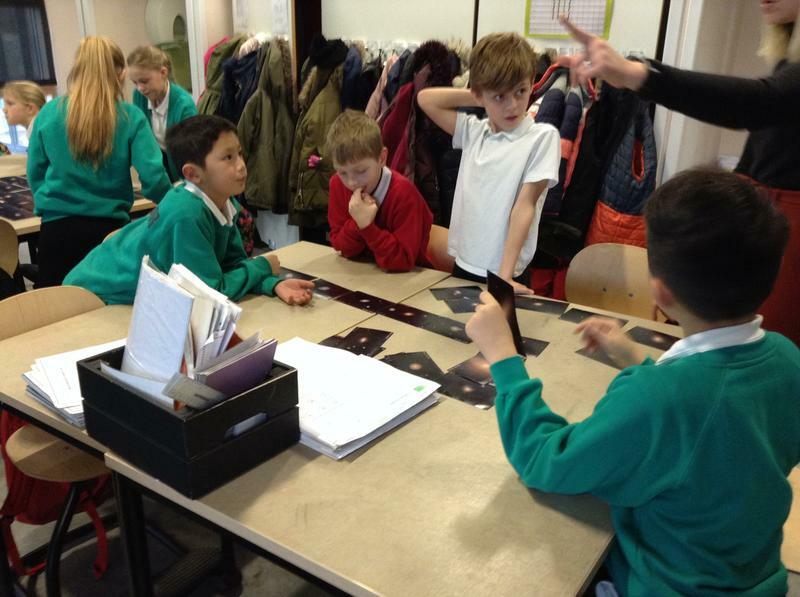 We learnt lots about the different constellations and the galaxies. 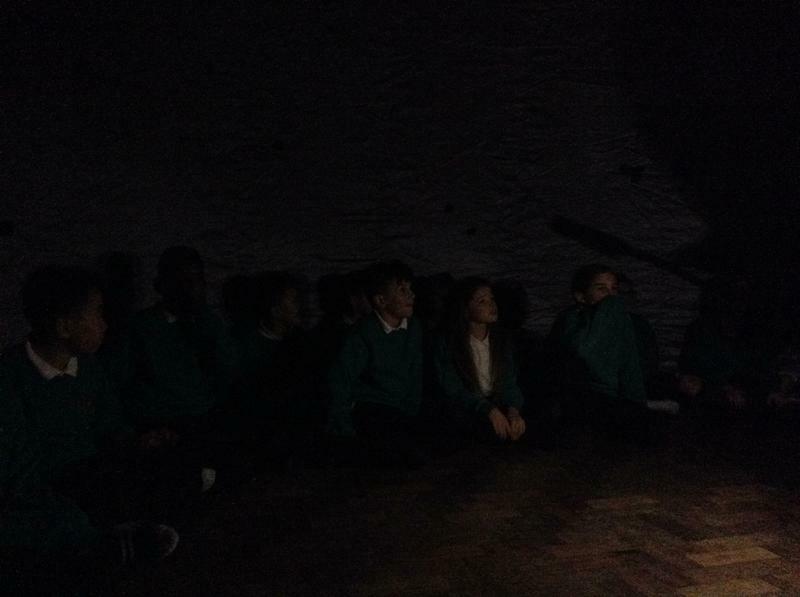 It was so dark inside that it was impossible to take any photographs! 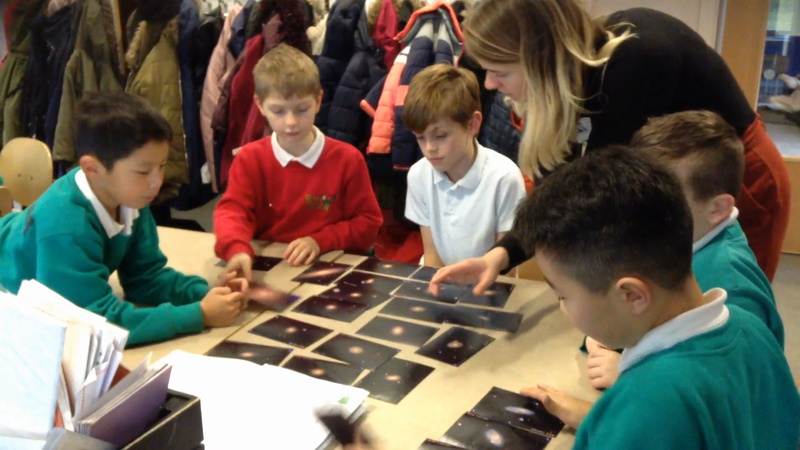 Here though you can see us trying to order some pictures of different galaxies into groups - we were deciding whether to use continuous or discreet data collection methods.